Many states have made massive and unrealistic pension promises they cannot keep, and the federal government is conveniently standing by ready to bail them out. Estimates vary, but Actuarial Standards Board projects that state and local government pensions are underfunded to the tune of more than $5 trillion. New Jersey has garnered a reputation as having one of the worst pension systems in the nation, and, last year, the Garden State fell $135.7 billion short on the benefits promised to employees. 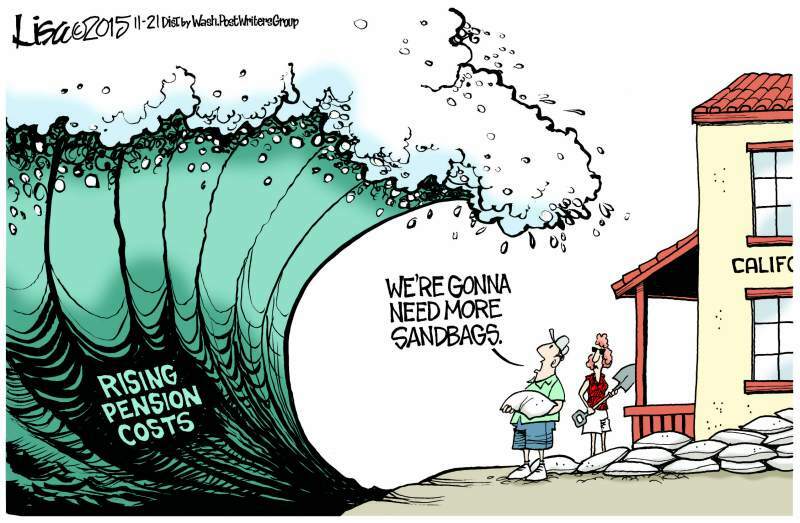 The pension problem extends far beyond New Jersey. In California, cities have struggled to meet pension promises while funding essential services, such as education and trash removal. In Los Angeles, an estimated $15 to $26 billion pension fund shortfall has prevented city officials from investing in infrastructure projects and development. Currently, only 14 out of the 50 states have adequately funded their pension plans, which leaves 36 states with the possibility of defaulting. The dependency on the federal government by these states is a problem that will not fix itself. If passed this bill would prohibit the Department of the Treasury and the Federal Reserve Board from bailing out states that don’t have adequate resources to fund state and local pensions. Pension reform is part of FreedomWorks' 7 for '17: An Agenda for the States campaign and has worked on several state efforts to reform public pension programs, including Pennsylvania and Michigan. The State and Local Pension Accountability Act, H.R. 1124, is a necessary step to hold states accountable and protect taxpayers from irresponsible spending.